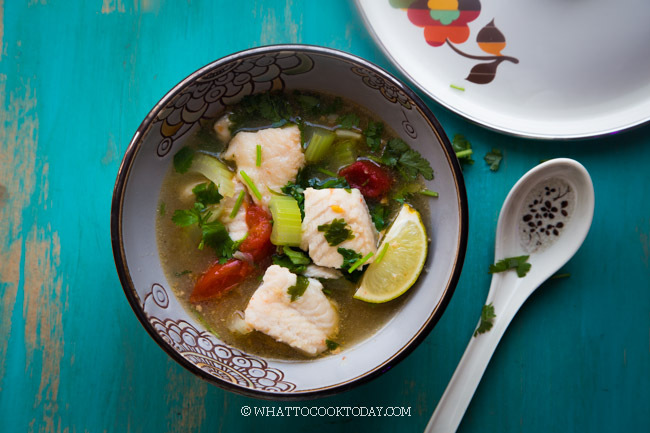 Easy and Quick Asian Fish Soup-Learn how to make a delicious quick and flavorful fish soup that will quickly become your weekly staple. Loaded with flavors. 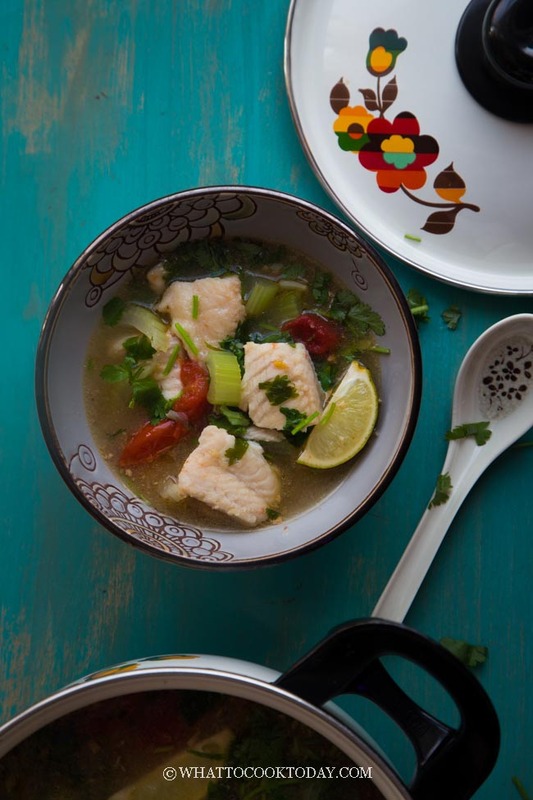 Easy and quick Asian fish soup is exactly as it sounds. 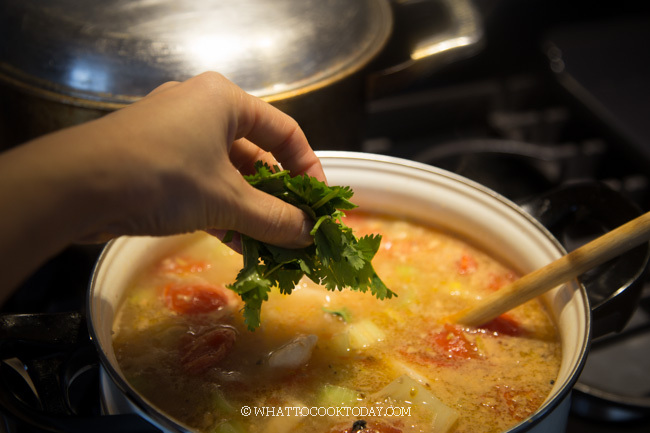 I just named it Asian fish soup, because it’s not particularly specific to any country, but the recipe does call for common Southeast Asian ingredient such as fish sauce. It is one of our family favorites. My daughter loves sole fish fillet because they are so tender and melt in your mouth when you eat them. 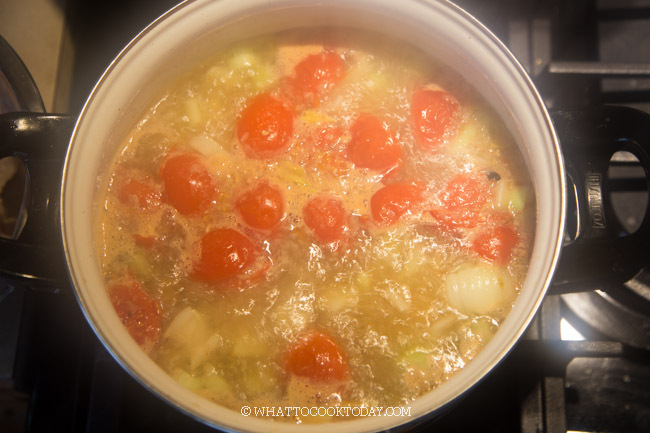 The base of this soup is incredibly easy to build as well. 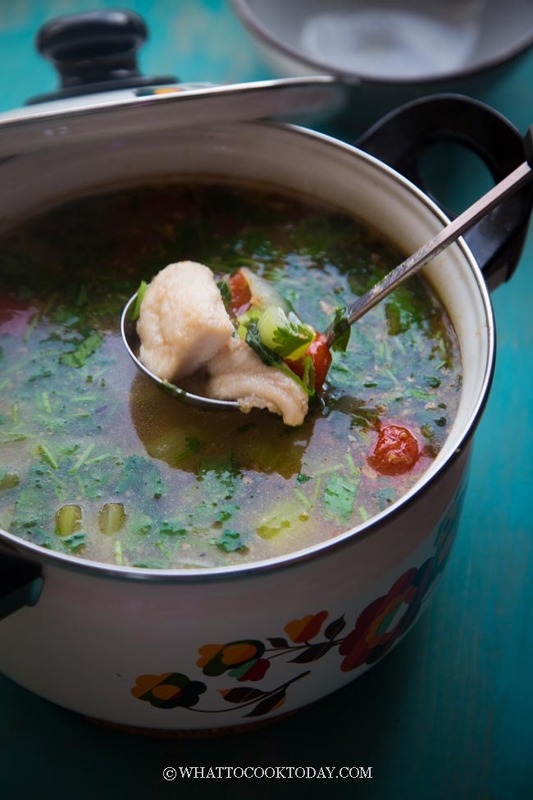 If you have fish stocks, great, you can use that to make this soup. I didn’t and I just use water and it still turns out so delicious. WHAT KIND OF FISH CAN I USE IN THIS RECIPE? 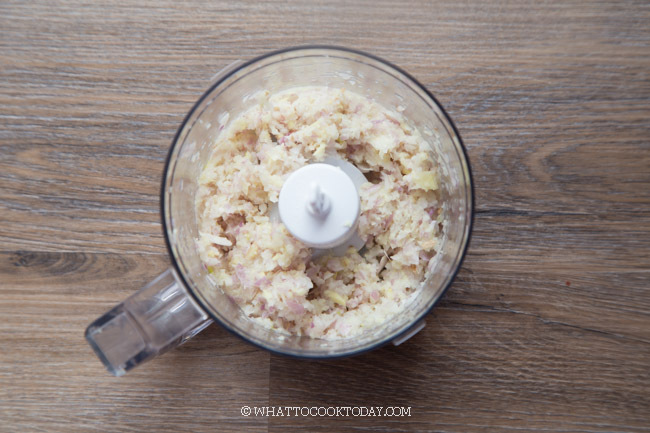 Any white fish fillet would be suitable for this recipe. I have used sole and swai fillet before. 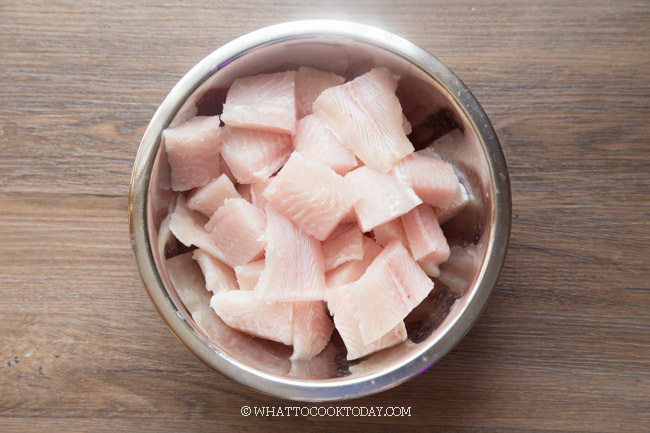 You can use fish like cod, cat fish, tilapia, just to name a few. First of all, it’s really easy and it feeds the whole family. 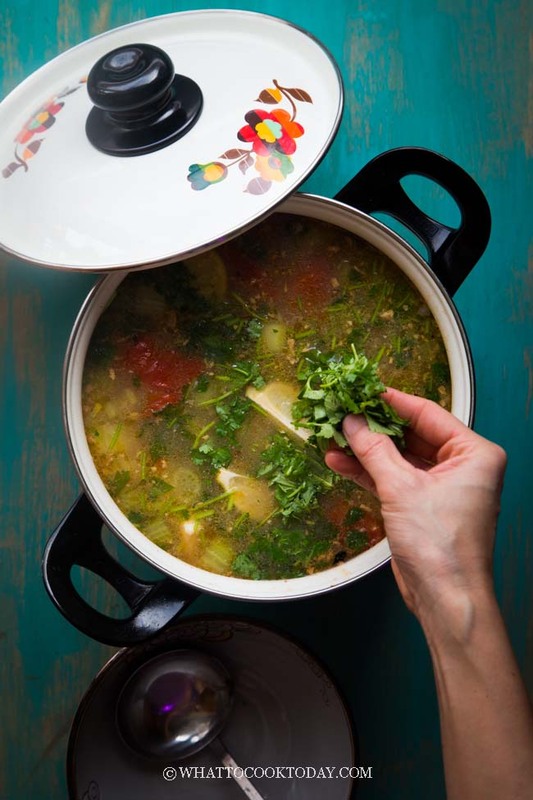 This soup is highly addicting. We love it!!! so much! 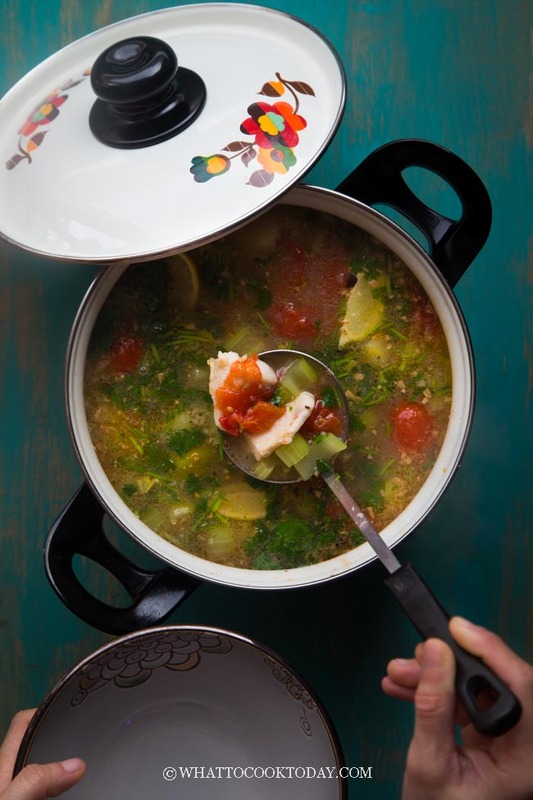 It looks red because of the tomatoes not because it is deadly spicy 😉 This soup has just the right balance of savory, hint of sweetness and slightly tart (from the lime juice). When you taste it, it reminds you of typical Southeast Asian food: sweet, salty, sour. It can be made spicy too by adding some bird’s eye chili when you process the aromatics in food processor. Final product will look like this. You can serve this with a bowl of plain white rice/brown rice, cooked quinoa. 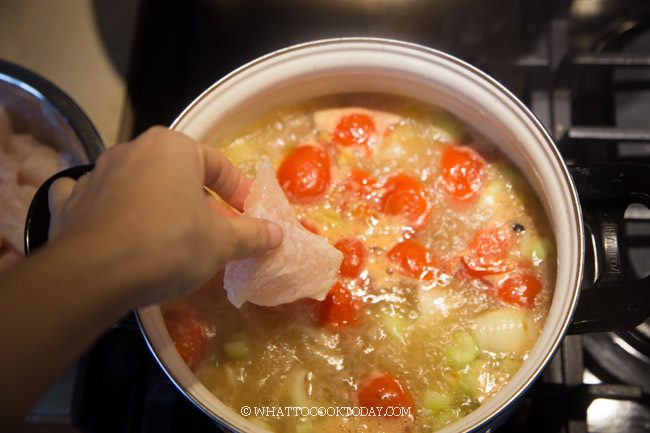 This is perfect to serve with rice noodles, bean thread noodles too. Just cook the noodles separately and then ladle the soup and fish slices over the noodles. There you have it, Asian Fish Soup with Noodles. My kids love it with bean thread noodles. 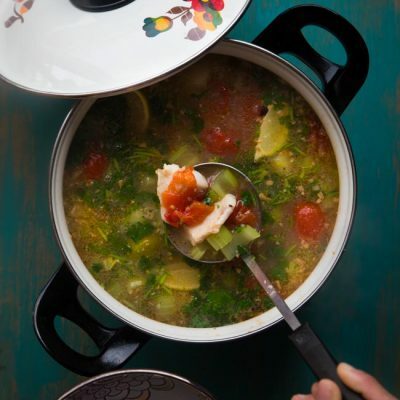 Learn how to make delicious quick and flavorful fish soup that will quickly become your weekly staple. Loaded with flavors. Hahaha actually i’m in china right now. Finding a chinese ingredient for ak bihon will be quite easy.. But find something like coconut milk, and western herb it’s really challenging… Specially tha everything in here are in chinese character…. They said that because i ‘m in the north side of china, im in Dalian… People in here are are mo influence by Rusia, Korea and Japan. Are your parents in US too?? My daughter and I are making this tonight. We make a cold mexican shrimp cocktail with similar ingredients and love it as much as you claim to love the soup. Can’t wait for it to be done. 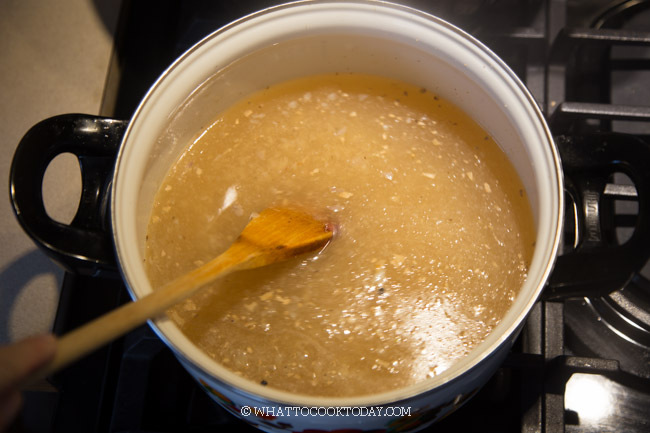 Question though about the fish sauce and cornstarch measurements. 2tsp of each seemed too little for 2 pounds of fish. May I confirm it is not 2 Tbsp each? I ended up using the later when the first didn’t much of the fish. Thank you for letting me know. There was typo for sure. It should be 2 Tbsp of corn starch. The fish sauce is correct. 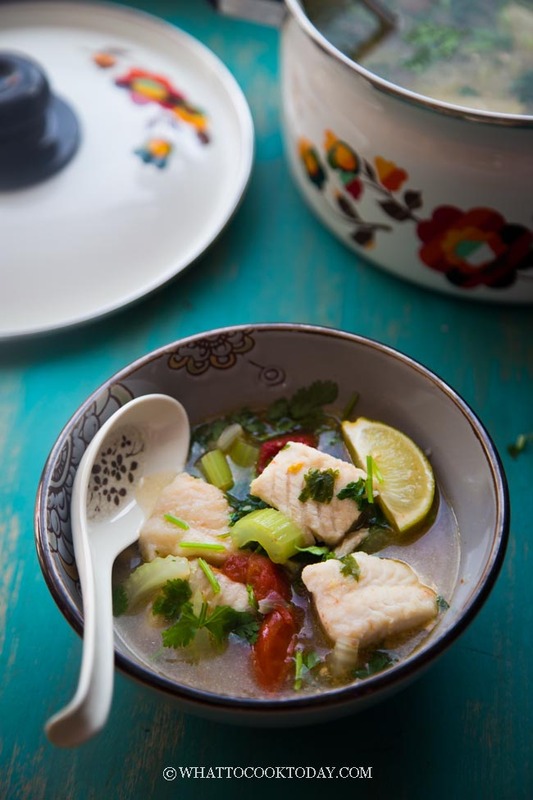 You can always add more of the fish sauce to your taste on final tasting. I hope both of you enjoy the soup !! 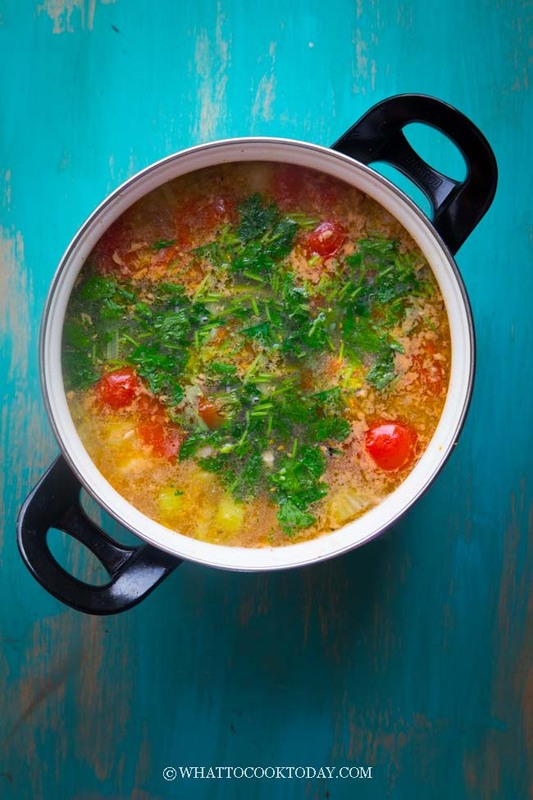 Hi, would love to try this soup soon. 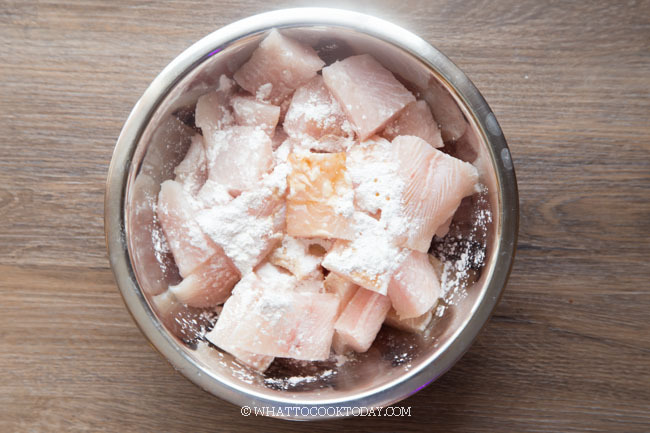 May I know the purpose of coating the fish fillets with cornflour? Thanks. 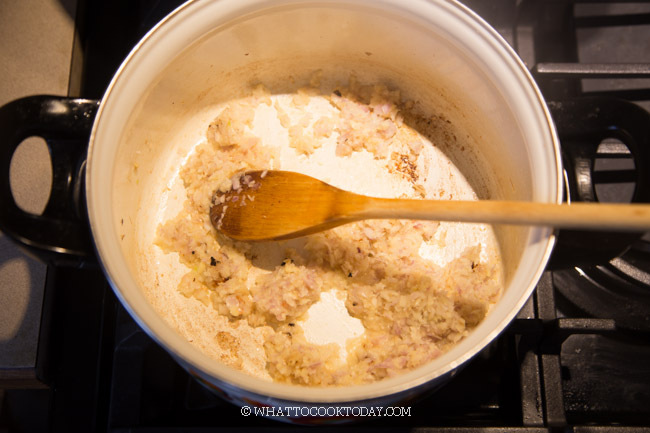 The cornstarch helps to “tenderize” the fillets. You can totally skip it too if you don’t want to do that.